Waterston, R.; Wilson, R.K. Complete genome sequence of Salmonella enterica serovar Typhimurium LT2. Nature 2001, 413, 852-856. 17. Parkhill, J.; Dougan, G.; James, K.D. ; Thomson, N.R. Pickard, D.; Wain, J.; Churcher, C.; Mungall, K.L. Bentley, S.D. ; Holden, M.T. ; Sebaihia, M.; Baker, S. Basham, D.; Brooks, K.; Chillingworth, T.; Connerton, P. Cronin, A.; Davis, P.; Davies, R.M. ; Dowd, L.; White, N. Farrar, J.; Feltwell, T.; Hamlin, N.; Haque, A.; Hien, T.T. Holroyd, S.; Jagels, K.; Krogh, A.; Larsen, T.S. ; Leather S.; Moule, S.; Gaora, O'P. ; Parry, C.; Quail, M. Rutherford, K.; Simmonds, M.; Skelton, J.; Stevens, K. Whitehead, S.; Barrell, B.G. Complete genome sequence of a multiple drug resistant Salmonella enterica serovar Typhi CT18. Nature 2001, 413, 848-852. 18. Rowe, B.; Ward, L.R. ; Threlfall, E.J. Ciprofloxacin-resistant Salmonella typhi in the UK. Lancet 1995, 346, 1302. 19. Threlfall, E.J. ; Ward, L.R. 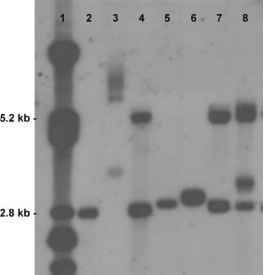 Decreased susceptibility to ciprofloxacin in Salmonella enterica serotype typhi, United Kingdom. Emerg. Infect. Dis. 2001, 7, 448-450. 20. Yoshida, H.; Bogaki, M.; Nakamura, M.; Nakamura, S. Quinolone resistance-determining region in the DNA gyrase gyrA gene of Escherichia coli. Antimicrob. Agents Chemother. 1990, 34, 1271-1272. 21. Giraud, E.; Brisabois, A.; Martel, J.L. ; Chaslus-Dancla, E. Comparative studies of mutations in animal isolates and experimental in vitro- and in vivo-selected mutants of Salmonella spp. suggest a counterselection of highly fluoroquinolone-resistant strains in the field. Antimicrob. Agents Chemother. 1999, 43, 2131-2137. 22. Hirose, K.; Tamura, K.; Watanabe, H. Screening method for Salmonella enterica serovar Typhi and serovar Paratyphi A with reduced susceptibility to fluoroquinolones by PCR-restriction fragment length polymorphism. Microbiol. Immunol. 2003, 47, 161-165.